Twitter recently became one of the communication scenarios in the world, with millions of users who have everything what they are doing or feeling through 140 characters. There are users who are followed by millions of people, but that does not mean what they say is important. At least that indicates a study that gives us to know who the most influential twitterers. 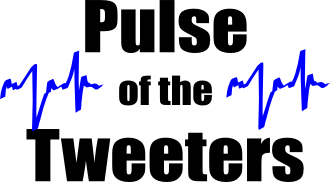 To find out, just enter the website Pulse of Twitter, where based on factors such as relevance of the posts, type of shared material, number of retweets, etc, generated a list of the most interesting people to follow. The list does not necessarily see the most popular, but if those who have much to contribute, be a good opportunity to meet interesting people which follow, using the microblogging not only fun, but also to cultivate your intelligence.